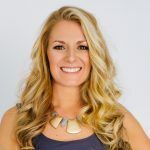 Episode 173 – Sarah Frink, CEO & Founder of Real Marketing Solutions is a creative, driven and radically authentic digital marketing strategist with a head for marketing and the heart of an entrepreneur. Sarah has the unique talent of taking complex ideas and breaking them down into actionable steps that get results. Four years ago, Sarah founded Real Marketing Solutions. RMS is a creative digital agency specializing in helping businesses create an online presence that converts strangers to followers, followers to leads and leads to paying clients. Sarah and her team offer social media training, end-to-end social media management, digital advertising, content design and self-study courses and group coaching for Do It Yourself marketers, virtual assistants and business owners. Your ideal client has to be attracted to your brand. There’s a certain amount of “personality of you” that needs to be in your branding. Be very clear on who your ideal client is. It is important to have consistent content strategy. For each social media site: Understand the platform. Learn the platform. Master the platform. Pick the platform where the majority of your ideal clients are in terms of demographics. Then create content specific to that platform. In order for content to be seen it has to be interesting and relevant to your audience. One idea is to teach people how to use your product or demonstrate the benefits behind the product. Behind the scenes posts are always interesting and get lots of views and comments. If you are going to share content from someone else, make sure to include your own spin on the topic. Feel the pride and satisfaction of turning your passion into a profitable business. Become a member of the Makers MBA program and access valuable videos, worksheets, and guides and connect with a community of gift biz builders just like you. It’s time to get moving on your dream. Get started today! If you found value in this podcast, make sure to subscribe and leave a review in Apple Podcasts or Google Podcasts. That helps us spread the word to more makers just like you. Great insights on the topic of social media. Sue, what was the name of the business that is using video with her customers when they stop by. Thanks! 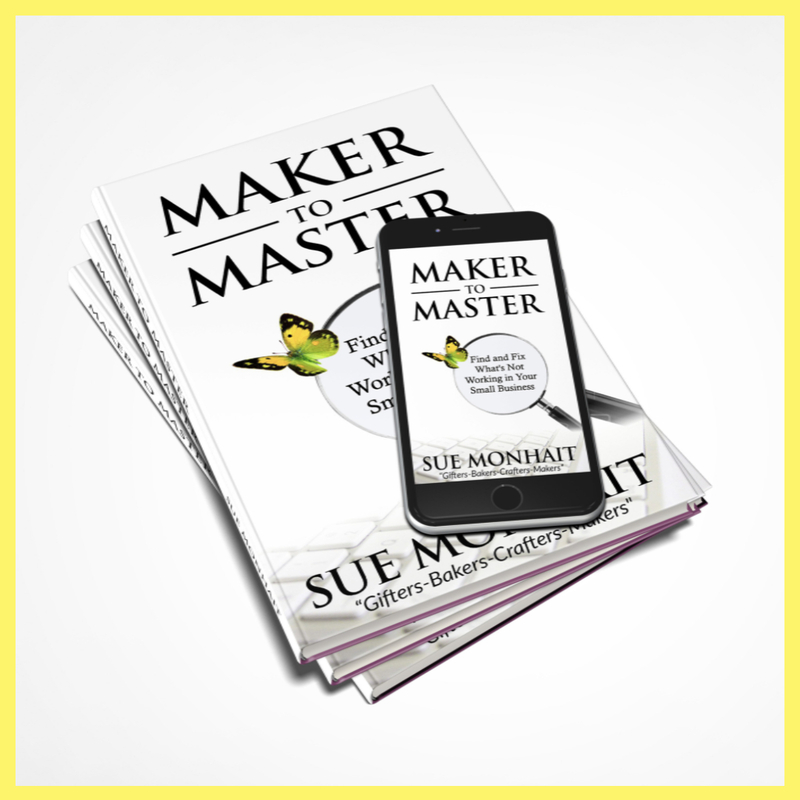 I enjoy listening to this because Sue provides actionable tips that are relevant to maker businesses. I also appreciate the variety in guests - some are larger, some are smaller, and all different types of products. Definitely check it out! I just listened to episode 198 with my client, Megan Auman, and I loved the fun energy that Sue brought to the conversation! I liked how Sue drew Megan out -- she’s an entertaining and engaging host! LOVE LISTENING WHILE POURING MY CANDLES! Love Sue and love this show! 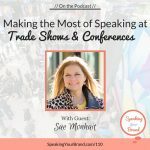 Sue is such and engaging and inspiring host but more importantly, the show provides the knowledge and strategies needed to grow your business. She provides realistic and actionable strategies, tactics and tips through her interviews and her own experiences. LOVE this show!!! This podcast is perfect for positioning ambition with DIY talent and taking a hobby to the level of a legitimate business. The guests are all so helpful in sharing the lessons and challenges that they navigated on the path to success. It is comforting to know that the challenges I encounter are similar to everyone else’s journey. Thanks Gift Biz! I find this to be such a well organized and skillfully arranged podcast that it is hard to find others in this genre to compare. Sue has a format that makes it easy for a new listener to feel welcome to join and can easily follow along. Consistency is everything. Her music intro is light hearted, her consistent format has me focusing where I need to really focus. Her questions are great and she really digs in. It’s not just a conversation between two strangers over the airwaves. This is a woman who is the voice for those of us listening, asking for clarification on subjects and really getting to the meat and potatoes. Her guests are drawn from a wide range of makers and skill sets. Something for all areas of business and inspiration for those still trying. I actually get annoyed with podcasts that interview like two people sitting at a hipster coffee bar. It doesn’t include the listener in the conversation. You feel more like an eavesdropper! I love Sue’s clear concise voice, she is the smart, friendly, savy girl next door! Also the ads are short and sweet and she doesn’t over promote herself. Keep up the good work Sue, I look forward to every podcast! I learn something new on every episode! I wish I had known about this podcast sooner! Sue has created a wonderful resource for current and prospective business owners. I relate to every episode I have listened to and learn something new each time. It’s an invaluable resource and I highly recommend for anyone starting or thinking about starting a creative business. Best podcast for small gift businesses!! I swear Sue is talking to me and my business partner and made these podcasts just for us! Such relevant content and I never listen to one without massive takeaways. 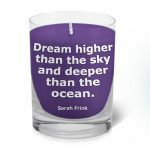 Owning a candle biz, we especially love the candle references. Thank you so much for creating these Sue! Gift Biz is a Gift! 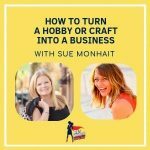 Sue Monhait provides inspiration plus practical, concrete advice for those creators who plan to turn their products into a business. Inspiration without the common sense tips, strategies and tactics that work is not helpful. GIFT BIZ is not only a useful guide but also a a gift to subscribers! 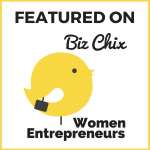 Gift Biz Unwrapped provides super informative tips and insights into the business of creating or making things. It’s a great resource for crafters, stampers, bakers, and artists to learn about industry trends. Sue’s thoughtful questions make for an amazing hour of listening, regardless who the featured guest is in any of her respective Podcasts. Great Takeaways In Every Episode! So glad I found this podcast at this point in my eco gift basket business! Sue is a fantaastic interviewer. She zeros in on the best wisdom each guest has to offer. I learn something valuable from each episode. Sue host of Gift Biz Unwrapped highlights all aspects of creativity in this can’t miss podcast. The host and expert guests offer insightful advice that is helpful to anyone that listens! Great info for anyone looking to open their own business or improve their existing business. Just listened to episode 120 on small business financing through bank loans. As an 18 year entrepreneur, I have bootstrapped the entire way, and now I realize how important it is for me to establish a stronger relationship with my banker. Thanks so much for your help with this, Sue. I have subscribed and look forward to listing to additional episodes. Episode 23 with Karl Pilz was awesome. I immedately threw away all my bad food after listening to the episode lol. Thank you Sue for the awesome interview! This podcast rocks! Sue is a fantastic host - love the questions and energy she brings. Gift Biz Unwrapped is a beautiful name for a practical and helpful show. I loved and agree with Sue Monhait say that a large business struggle with the same challenges a small or medium business. Gift Biz Unwrapped Lights it Up! Light it up! This is such a fun, inspiring and creative show! Love the stories and advice from people who have innovative and unique ideas! Gift Biz Unwrapped provides interesting stories and action steps to take your business to the next level! Thanks for a great show, Sue! Informative podcast with great information. Great interviews with experienced entrepreneurs giving helpful content. Helpful & Timely Advice for Small Biz Owners! 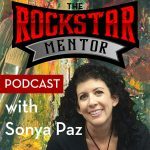 I have been listening to Sue Monhait's podcast, Gift Biz Unwrapped for over a year now, and continue to learn from each guest she brings on the show. I have owned a brick & mortar store for over 30 years and am still learning every day. Sue keeps the conversation going, asks timely questions, and is skilled in drawing out some great tidbits of information from each guest. Looking forward to many more episodes! A huge thank you to everyone writing reviews to the show. It helps me understand what pops out to you as valuable and what motivates you to come back and listen again. There are more fabulous guests on the horizon! Sue brings great value and awesome guests! Love the format and tips! Wish I found this podcast earlier! Looking forward to more! Such a fun podcast listen! Sue's show is so insightful for those of us with handmade & creative businesses. Hearing the stories & experiences of her guests is a true joy, and I always look forward to listening! Love working with Sue and Gift Biz! I was thrilled to be part of this series! Sue makes the entire process super easy and fun! She knows her industry and does a great job prepping people for the interview and bringing out the best in the entrepreneur. These episodes are full of inspiration, advice and actionable take aways. Sue, This was a great interview!! I've been having an epiphany weekend for new ways to promote my business and this podcast with Andrew and Pete just started my Monday off perfectly!!! I am rushing over to order all the materials that they mentioned and get started. Thank you so much for doing this show for those in the gift industry. Love it!! I have met many women business owners in the last six years attending as many events as possible to meet people and learn from the best of the best! Sue Monhait is one of those women that stands out in a crowed room, she is not only successful in her business but truely enjoys helping others succeed in theirs. These Podcast are well thought out and she seeks out the right topics to help businesses in todays changing times. Tune in and listen to some of her programs! These podcasts are an excellent resource for those starting a business and also for businesses that are up and running. Lots of new and interesting tips no matter what level of business experience you have. Keep up the great work Sue! Sue does a great job engaging and interviewing her guests - such as Jayne Wagner - whose story was insightful - while also gleaning some gold nuggets. Thanks Sue for putting together this great production. I have found Sue’s guests and interviews to be insightful and inspiring. Learning about lots of interesting businesses out there as well! Thanks Sue!! What a creative unique show! There is so much great content in here! Thanks for sharing! A weekly interview based podcast series where interviewees, from within the gift industry or a service provider to small business owners, suggest actionable strategies to grow your business. Well done Sue. Your show is a true inspiration! Sue, I enjoy listening to your podcast and how engaging the conversations are that you have with your guests. The recent episode with Lana Horton was truly motivating. I love how driven she is, and how she is able to spot market voids that aren't just for making money – but for enriching people's lives. I was always taught that people don't want better quality things; they want a better quality of life. Lana provides products that make people smile, and success naturally follows. Sue, I want to thank you for sharing your ideas and hosting this podcast to help people grow their businesses in a positive and mindful way! i love that gift biz unwrapped because it provides us with solutions to our own business. these stories being shared has helped me in my own business ventures. thank you for doing what you’re doing. Loved the episode on working with Hollywood stars - and an important point on looking at the cost of acquisition of a customer. Sales are only ONE part of the equation. Thanks Sue! Helpful tips for starting your business and keeping it growing. Well done. I am leaving this podcast with a lot of new idea and strategies to grow my small business! If you're like me, you can't get enough good business advice! To need here for more of what you need and love! Gift Biz is a Winner! This is a fantastic show with a plethora of useable information from someone who honestly has the credibility to be giving business advice. An interview based podcast where guests share insights, tools, strategies, sources, and tangible/valuable information - all from successful entrepreneurs or successful service providers. If you are into the gifting business, this show will help you grow. Added bonus: the host is a natural and will leave you delighted. I really enjoyed listening to the episode with Kate Erickson. Theme your days and crank it out! Keep it coming! Great tactics on how to integrate powerful strategies to grow your business! Very well done and VERY useful! Thanks a lot Sue, and I'll be listening! Wow! Great information I can apply to my business. Interesting and entertaining topics and guests. Can’t wait to try all these things out! Great show, packed full of actionable hints and tips every week. Love it! Busines is about refferals. I listened to the episode with Kevin jordan and it was awesome. Such great content on how to get refferals from your exsiting customers. It seems so obvious, but create incentives for your customers. Create a refferal program. The other half of the episode was about event marketing. I've always struggled with asking, going to give this a try. Very high quality audio and content. Keep up the great work Sue! Many great business tips here that apply to all businesses. Keep them coming! Sue has an amazing back story and is a true inspiration to business owners and entrepreneurs! I'm excited to dive into more episodes! Good episode with Smita Singh (#12). Full of great and really specific advice! Already started using all of the ideas i heard today. Love It! Great message for today's busy businessperson. Apply this information today! Great podcasts with good interviews of successful entrepreneurs that we can all learn from. Great podcast to get new and cool ideas! Really interesting show for anyone that wants to grow your business. I highly recommend you subscribe and go back and listen to all of the episodes. Keep up the great work. I just listened to the episode with Kate Erickson and found her advice useful and actionable. I would recommend this podcast to any small biz owner in the gift industry who is serious about growing their business. I love the idea of this podcast as being ‘gift-orientated’ - it really helps to have actionable items attached to the concepts of each episode. This podcast has amazing strategies for growing your business. I found it very insightful.! I enjoyed hearing the clear honest stories (heard Anne Pazier speak). Nice story of husband trying to convince wife to start her gift business. Then she took it on upon herself to build it. Practical lessons learned and going forward tips. 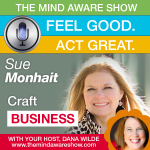 Sue Monhait has experience helping others grow their business and started her own successful business and now podcast. She has an easy to follow manner and clearly has some great insights into helping others as well as herself especially in the brick and mortar area. Listen as you may find some great game changers that will propel you forward. I am so in love with Sue's vision. Each time I listen to this podcast I gain new insights into the gifting business and the people behind them. It's very genuine and you are drawn in from beginning to end! Can't wait for the next episode. Love the visualization of the questions for the guests. Keeps in very interesting and unique! Wow! Great job! Thoroughly enjoyed the episode on Silk Thumb. Sue brings a great perspective and insights to business growth. Thanks for the ideas! Simple tips to grow your business. Listen to unique guests and gain insights. Great job Sue! I'm really loving the guests on this show and their inspiring stories about their experiences building business success. Can't wait to hear more! Just listened and loved the show….Congratulations and keep up the great work! Excellent information - both relevant and actionable! I had to subscribe because... well... not to would just be stupid. Great show, Sue! Easy to listen to and so very very helpful information that I needed for my business. Thank you so much Sue for making this podcast for me #selfish . But seriously every business owner should be listening to this podcast. Great tips and ideas from experts in building your own business! Very helpful specially to people who just started their business venture. Keep up the good work! Congrats on your launch! 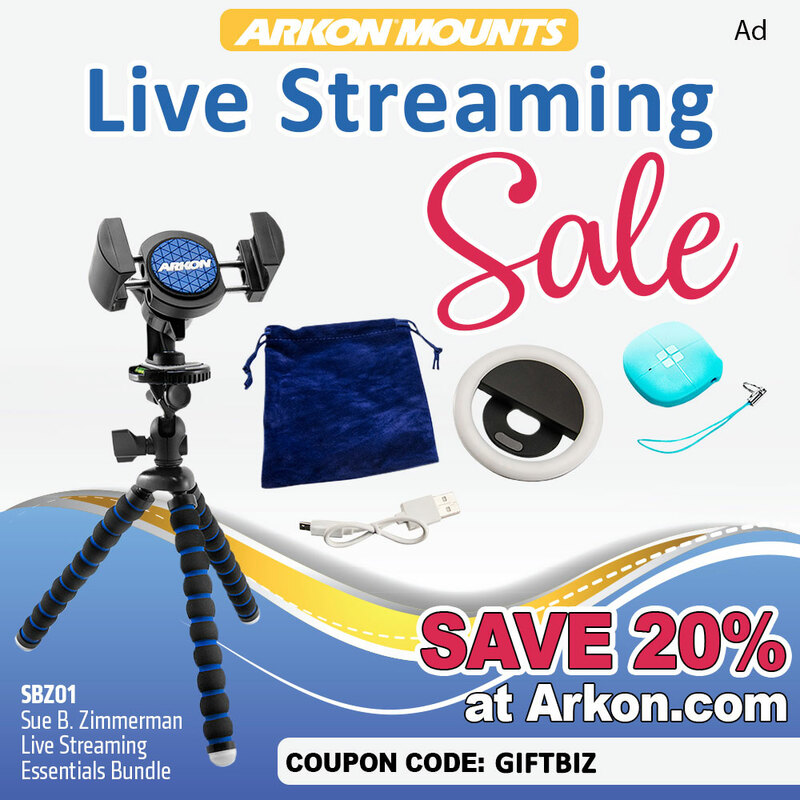 Great gift for your business! Every episode is chock full of free gifts for your business! And I love the JLD intro. If you run your own business like I do, this is a must-listen. Stuck? Listen to Gift Biz! Awesome content. Great guests and they dive into depth about the business in a very helpful way! Sue’s guests really get down to the important things to know about building a business. Definitely worth listening to. This show is a gift indeed. Your interview with Kate Erickson left me with great insights on the value that can be provided to customers with a well thought out blog. This podcast is a gift! Gifts mean more to people than they realize, and this podcast does a great job of digging into that industry to uncover insights that will help you grow your business. Good podcast with valuable tips that will help you boost your business. It’s nice to have a place we can turn to that offers a positive and uplifting approach to business information. The discussions flow easily and are informative too. It's like your eavesdropping on a private conversation. Sue seems to glean valuable insights on creating and maintaining your own business. Good stuff. Such an enjoyable idea/show all wrapped in one! Love the focus on actionable strategies for building/growing your business. Great podcast for tips, tricks, and strategies! These interviews are delightful gifts, offering a unique spin on entrepreneur interviews. No matter the biz, this is a gift of a podcast! Great insights into building a business. A fantastic flow and energy that is authentically engaging. Check out Kate Erickson’s episode for sure! Great show! Love your interview with the enfamous Kate Erickson! Love it and definitely a must-listen podcast for entrepreneurs for sure! I love the strategies and the stories from those who have gone before and blazed a path. Please keep sharing the stories. Very good and unique ideas for promoting a business. Very different and valuable info! Learned so much from listening to this podcast. Although I’m not directly in the industry it gave me a lot of inspiration and motivation to grow my business. Thanks, Sue! Give Yourself the Gift of Listening to this Show! I loved the episode with Elizabeth Benton from Primal Potential! I felt like Sue keeps the listeners interests in mind because she asked the follow-up question that I was dying to find the answer to (what are the big rocks that Elizabeth would recommend tackling) and to top it off she repeated the three tips to ensure I understood them all correctly. This show was designed with the listener in mind and provides a great listener experience. A great interviewer who gets the most out of her guests. And a ton of actionable content to boot. Passionate host and great content! Love this new podcast with Sur! She has a knack for inspiring and motivating the entrepreneurial minded, or anyone looking for some inspiration. It's great to hear the stories of other entrepreneurs, lods of tips I can apply myself. Love hearing the back stories of other entrepreneurs, especially in a niche I do not know most about. Great advice that can translate into other industries. Great work! Listens to the first one and the speaker was awesome! Ended up buying one of the books he recommended and made so great changes to my daily routine! interesting podcast and loving it.Victor from the Youngpreneurs Podcast! Sue's entrepreneurial background makes her the perfect host for this type of podcast. She's been there and done that, which allows her to really relate to her guests. Great listen! Love this podcast, plenty of wonderful entrepreneurs and business people sharing their stories. Very inspiring to hear the guests and Sue’s organization is very helpful in getting to the heart of it all. You can't help but want to charge out and change your business and life after listening to Sue and her guests. Anxious to see how this show evolves... It's now on my weekly listen list. This is a terrific gift. It is helpful and accessible with practical advice for my business and personal self. It is very interesting with good information. Thank you Sue for getting this info out there! So very interesting to hear what professionals have to say about their business and great suggestions on might work for other businesses. Wonderful Podcast with terrific ideas! The podcast had terrific ideas that are sure to help any entrepreneur grow their business! I highly recommend this podcast and found the advice given to be very helpful! I was able to use the info instantly in my business! I almost cant get through a episode, with out stoping to apply the wisdom from the host and guests. Subscribe! It will be worth it! I’m all about business growth. Keep on podcasting. great start! Thanks for sharing this! Learned a lot! This podcast is a great resource to help grow your business. This is a very helpful podcast. Thanks for taking the time to create this podcast. Guests provide very helpful and useful information for this type of industry. Great value! Awesome sounds quality. Tons of great insights! What a cool niche! Thank you for sharing, Sue! Just discovered this one and am looking forward to more. Very upbeat and solid business information. Fun podcast worth making a listening routine around. Original insights on building a business are certain to give even the most-savvy business builders and energy boost . Very helpful information and motivating stories! Helps to see examples of others in the industry. Very informative and professionally done. Great business! This is a really fun podcast and to listen to. The tempo was perfect and the mix of monologue and dialogue was impressive. In the episode I listened to both the host and guest provided information and insights worth listening to. Great strategies and advice from people who have been there and done that. Loved the info about the importance of keeping eyes open to new possibilities, making connections through networking, changing the business model to adapt to new times and challenges. Every business owner can benefit from this insight. Great questions from the host. Sue is a high-energy, upbeat interviewer who drills deep into the stories that drive the success of her guests. This is sure to be the touchstone podcast for the gift business. A must listen if you follow this space. High production values - from the intro to the music to the outstanding audio quality. Love the Silk Thumb interview. Hearing how designers see a space is so helpful. I just changed offices and my colleague redesigned the new office. It feels so much better there after he put in all that work, so I know interior design is a useful service. Great work, Sue! This show is so great! It's two guests in and I'm already looking forward to more! Brendan and Julie have been great starts to the show and had great things to say about their businesses, both starting up and taking over. Nice work! Sue gives great and solid business advice-which if you dont adhere to you might as well not even do business...great Podcasts! Useful strategies, energetic host, and fabulous suggestions to implement in any business right now! Thanks Sue for all of your amazing tips & ideas!! Sue is a great host and does a thorough job of bringing out the tips and strategies that can help any business. Great content for the fast paced commerce industry. Sue is a great host! Great resource! Very useful content in a well executed format, thanks! If you’re in the ecommerce or service marketplace, you’ll find invaluable resources in this innovative and unique podcast! I’m always looking for ways to improve my business, and I love the “gifts” I receive in every episode of this show. Keep it up! Sue is passionate and knowledgeable. You are going to gain great insights into how to grow your business and get the results you want. Well produced and great host! Very well produced and love the energy of the host. Looking forward to more! I have a feeling if I incorporate these amazing ideas and tips to my current business it’s going to be a game changer. Ready and excited!